Provo • All the smoky murkiness brought on by wildfires throughout the West that has enveloped the Wasatch Front the past few days has nothing on the BYU quarterback derby. Heading into Saturday’s scrimmage that will be closed to the media and the general public, the race to be the starting quarterback for the Sept. 1 opener at Arizona is as clear as the air in Provo. Everybody agrees on that. As far as when they will announce a starter, let alone who it will be, nobody really knows. BYU coach Kalani Sitake hinted that some official news could come Monday — perhaps a paring down to two candidates — while quarterbacks coach and passing game coordinator Aaron Roderick threw out the possibility that coaches may decide to not announce anything at all and make everyone wait until the 8:45 p.m. MDT kickoff at Arizona Stadium. Moments later, Roderick acknowledged that four quarterbacks will get the chance to show what they can do Saturday — senior Tanner Mangum, sophomore Joe Critchlow and freshmen Jaren Hall and Wilson — but most likely will not be “live,” meaning they cannot be tackled. Both Critchlow and Wilson told The Salt Lake Tribune on Friday that coaches have given no indication what the depth chart at quarterback currently looks like. 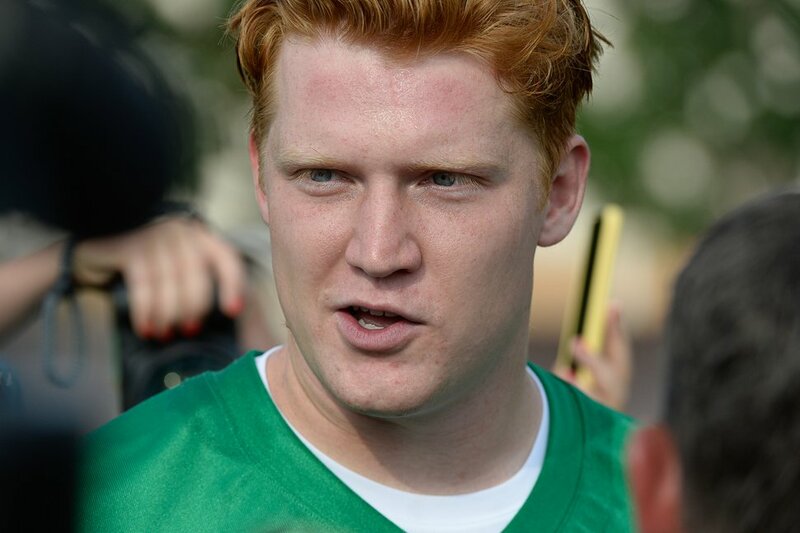 Much was made Monday of Critchlow not getting any reps in the media viewing portion of the 11 on 11 scrimmage, but the big redhead said fans and the media should not read anything into that. Critchlow said he’s been getting as many reps as any other quarterback most other days. (Francisco Kjolseth | The Salt Lake Tribune) BYU quarterback Joe Critchlow speaks with the media following preseason training camp on their practice field on Thursday, Aug. 2, 2018. Whatever the case, all agree that Saturday’s scrimmage is huge for the quarterbacks. Told that Sitake said he might have some news on the race on Monday, Roderick said he could also see that happening. 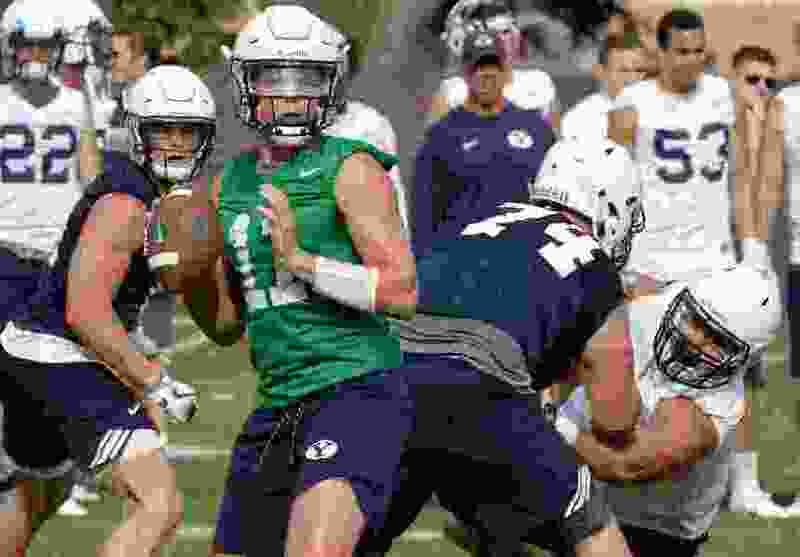 Neither Sitake nor Roderick offered details on what the scrimmage would entail, and the quarterbacks themselves weren’t sure if they would be live — as they often were in spring camp — or protected by the green jerseys. It just might not be announced soon — if at all.